Caraway Health Benefits, Dosage, Side effects and Warnings. Caraway (Carum carvi), is a biennial plant in the family of Apliaceae that is native to Asia. Europe and Africa. Caraway is popular for fruits (also known as “seeds”) that has pungent anise-like flavor and aroma and is used for culinary preparations with medicinal benefits. Caraway plant is similar in appearance to a carrot plant, that grows to about 2 feet in height. Caraway leaves are green with feathery texture and thread-like divisions, Caraway flowers bloom in late summer that is flat, Queen-Anne’s-lace-like umbells that is white or pinkish in color. As the flowers die, Caraway fruits (erroneously called but more commonly called as caraway seeds) can be harvested. Caraway seeds are crescent-shaped achenes, around 2 mm long, with five pale ridges. Caraway root is considered a tap root and grows in a slender form to about eight to nine inches long. 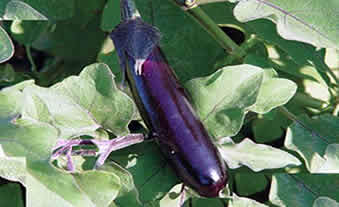 It has a yellow tone to it and when cooked, turns into a rich creamy white color. Caraway has a pungent and anise-like flavour that has value as spice in food prepationis such as in breads, desserts, liquors, casseroles particular in European and Middle Eastern cuisines. Caraway contains chemicals Myrcene , Limonene, α-Terpinolene , Trans Limonene Oxide , Trans Dihydro Carvone , Trans Carveol , Carvone , Perilla Alcohol , Carvacrol and β-Caryophyllene. These chemical constituents make the Caraway useful in the treatment of variety of illness, although limited medical and scientific research may support its claims. Acid reflux. Caraway is found to be effective in treating acid reflux when used in combination with peppermint oil, including symptoms of fullness and mild gastrointestinal spasms. Stomach problems. Caraway is valued for its medicinal health benefits for the digestive conditions such as dyspepsia, colic and flatulence. 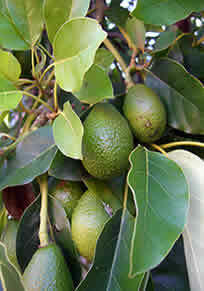 Carawy is also effective in improving symptoms of upset stomach, fullness, stomach cramping and spasms, nausea, and vomiting. Stimulates appetite. Caraway was also used to stimulate appetite improve digestion and promote good health. Boosts immune system. Caraway has been used to improve and strengthen the immune system against diseases. Respiratory problems. Caraway tea has been used to improve the symptoms of asthma and other repiratory problems such as cough, bronchitis and colds. Menstruation. Caraway can improve the start and improve the the flow of menstruation and alleviate symptoms associated with it. Anti-inflammatory activity. Caraway is used to treat sciatica, lower back pain, hemorrhoids, gout and arthritis. A decoction is used as a warm compress. Antiseptic. Caraway decoction has been traditionally used to wash bruises, wounds and burns to prevent infections. 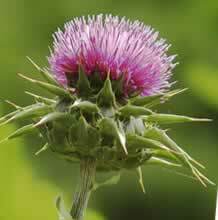 It is also used as a poultice. Promotes milk production in nursing mothers. 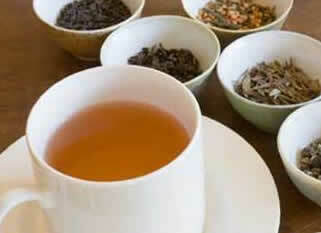 In some cultures, Caraway tea is taken by nursing mothers to improve the flow of milk while nursing their babies. Improves eye sight. Indian traditional medical system suggests the use of Caraway seeds taken twice a day to improve eye sight. Mouth problems. Caraway is used to alleviate toothache and sore throat. A decoction of warm caraway can be gargled twice a day. Caraway fruits are usually used for its spicy, pungent, anise-like flavor and aroma that comes from essential oils, Caraway seeds are used as spice for breads, especially rye bread. Caraway leaves and young shoots are used in desserts, salads and in some culinary dishes. Caraway seeds are also used in liquors, cheese, sauces, soups, candy and cakes. Caraway essential oils are extensively used in cosmetics and perfumery for its peculiar odor and aroma. Carum carvi L. (Apiaceae family) or caraway is a common household plant grown around the world including Iran. Caraway fruits are used as flavoring agent in foods and beverages, and have various traditional uses in ethnomedicine. Anti-inflammatory, spasmolytic, antimicrobial, antioxidant, carminative and immunomodulatory properties of caraway suggest that it might exert beneficial effects on inflammatory bowel disease (IBD). Therefore, this study was carried out to investigate the effects of caraway hydroalcoholic extract (CHE) and its essential oil (CEO) in an immunological model of colitis in rats induced by trinitrobenzene sulfonic acid (TNBS). Different doses of CHE (100, 200, 400 mg/kg) and CEO (100, 200, 400 μl/kg) were administered orally (p.o.) and also doses of CHE (100, 400 mg/kg) and CEO (100, 400 μl/kg) were given intraperitoneally (i.p.) to the separate groups of male Wistar rats (n=6). Administration of prednisolone (p.o., 4 mg/kg), Asacol® (mesalazine microgranules, p.o., 100 mg/kg) and hydrocortisone acetate (i.p., 20 mg/kg) as references were effective in reducing colon tissue injures as well. These data suggest that caraway fractions are both effective and possess anti-colitic activity irrespective of the dose and route of administration. Source: Res Pharm Sci. 2013 Jan-Mar; 8(1): 1–8. Caraway (Carum carvi L.), a potent medicinal plant, is traditionally used for treating obesity. This study investigates the weight-lowering effects of caraway extract (CE) on physically active, overweight and obese women through a randomized, triple-blind, placebo-controlled clinical trial. Seventy overweight and obese, healthy, aerobic-trained, adult females were randomly assigned to two groups (n = 35 per group). Participants received either 30 mL/day of CE or placebo without changing their diet or physical activity. Subjects were examined at baseline and after 90 days for changes in body composition, anthropometric indices, and clinical and paraclinical variables. The treatment group, compared with placebo, showed a significant reduction of weight, body mass index, body fat percentage, and waist-to-hip ratio. No changes were observed in lipid profile, urine-specific gravity, and blood pressure of subjects. The results suggest that a dietary CE with no restriction in food intake, when combined with exercise, is of value in the management of obesity in women wishing to lower their weight, BMI, body fat percentage, and body size, with no clinical side effects. In conclusion, results of this study suggest a possible phytotherapeutic approach for caraway extract in the management of obesity. Source: Evid Based Complement Alternat Med. 2013; 2013: 928582. Cuminum cyminum and Carum carvi are the sources of cumin and caraway seeds respectively, which have been used since antiquity for the treatment of various indications in traditional healing systems in wide geographical areas. Cumin and caraway seeds are rich sources of essential oils and have been actively researched for their chemical composition and biological activities. In recent times (especially during the last 3 years) considerable progress has been made regarding validation of their acclaimed medicinal attributes by extensive experimental studies. In this attempt many novel bioactivities have been revealed. This review highlights the significance of cumin and caraway as potential source of diverse natural products and their medicinal applications. Source: Pharmacogn Rev. 2011 Jan-Jun; 5(9): 63–72. Where can I get or buy Caraway? Caraway plant can be cultivated and be as a garden plant. Caraway seeds or young plant can be sourced through local horticulturist. 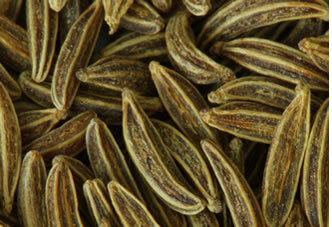 Caraway seed is normally used to prepare herbal medicine, but the fruits are also used. Caraway is also commercially prepared as oil, tincture, powdered and as whole seeds. Caraway supplements are available in most fitness and health stores. Caraway is also available online via Amazon as listed: Organic Caraway Seed for example, there are other brands, be sure to select one from a reputable manufacturer and do follow the suggested dosage. 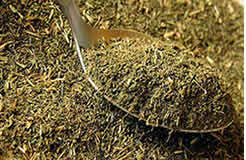 Caraway tea can be prepared using 1 teaspoon of Caraway seeds in a cup of boiling water. Taken 2 to 3 times a day. Caraway oil and tincture as supplement. Taken as directed. Prepare about a teaspoon of Caraway seed for every cup of water. Generally safe. Caraway is likely safe when taken by mouth in food amounts. 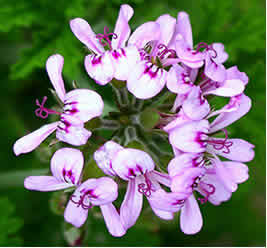 Caraway herbal medicine is also considered safe to most adults if taken in recommended dosage. Caraway may have narcotic side effects such as drowsiness, nausea and mental clouding. Pregnancy and breast-feeding: Caraway in herbal medicine preparation is not recommended for pregnant women. Caraway has been used to start menstruation and might cause miscarriage and abortion. Although Caraway has been traditionally used to improve breast milk flow in nursing mothers, There is not enough research to determine if it has side effects to babies. It should only be taken upon the advice and supervision of a paediatrician. 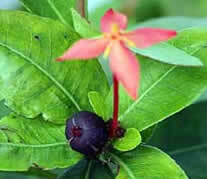 Just like in any other herbal medicines, moderation of use is recommended. Prolonged use is discouraged.